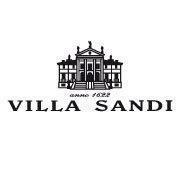 SPRING IN VILLA SANDI From May,1st to June,30th 2015 Villa Sandi welcomes, upon booking, the Expo 2015 visitors with guided tours of the Seventeenth Century Palladian Style Villa and its underground cellars. Possibility to organize wine tastings at the "Botteghe del Vino" in Crocetta del Montello and in Valdobbiadene. Villa Sandi is a splendid Palladian-style villa dating back to 1622, currently in the precincts of the Villa Sandi winery. The entrance is an elegant alley sided by statues of the popular Venetian sculptor Orazio Marinali, whose works decorate also the gable and the backyard. Three century-old underground cellars stretch for over 1,5 km under the villa and create the perfect environment for wine aging. The villa is open to the public for guided tours and it is near places of historical and artistic interest such as Possagno (Canova museum) (17 Km), Asolo (14 Km), Castelfranco Veneto (22 km), Treviso (26 km), Venice (67 km). Our guests are guided to the fascinating underground cellars where Opere Trevigiane Champenoise Method and Red Wines Riservas are aging. Then, through the hystorical galleries dated back to the First World War, it is possible to reach the Villa and admire the typical Venetian Design with Stuccoes, bass relieves and Murano Glass Chandeliers. There is also a small canal once used for the irrigation and now included in the winery eco-sustainability project. The Villa is located in a fertile countryside in which fields and farms pay homage to the local history. In Valdobbiadene Villa Sandi welcomes visitors in the Estate in the heart of the historical Valdobbiadene Prosecco DOCG production area. Guided tastings are provided by professional staff in the "Botteghe del Vino" and the discovery of the territory continues at "Locanda Sandi" in Valdobbiadene, with the typical dishes of the Venetian countryside and six charming rooms. Villa Sandi: a place where nature and architecture, man and environment live together in total harmony. · Price: 5,00 Euro per person for minimum 10 persons, for smaller groups the visit costs 50,00 Euro. Visits upon booking – From Monday to Saturday: from 9.00 to11,00 a.m. & from 2,00 to 5.00 p.m. Devoted to wine culture for many generations, the Moretti Polegato family, owner of the Villa, have fostered this ancient tradition by making Villa Sandi the headquarters of the winery, and by promoting grape growing in the area on a modern basis. Villa Sandi wines are famous all over the World, especially for Prosecco collection.The Seventeenth-century Palladian style Villa and its underground cellars are open for guided tours upon booking. A sparkling jewel protected by the hills of the Marca Trevigiana, Villa Sandi is a Palladian style masterpiece dating back to 1622, and it is also the main office of the company. The Villa rises from a fertile countryside in which fields and farms, nowadays as well as in the past, pay homage to the local history. A vibrant stage in which nature and architecture live in total harmony together; place of delight and headquarters, the complex of Villa Sandi is an enchanting estate where man and environment are in perfect symbiosis.The entrance is an elegant alley sided by statues of the popular Venetian sculptor Orazio Marinali, whose works decorate also the gable and the backyard. A massive pronaos, sustained by four Ionian columns, adorn the main part of the building, on each side of which two elegant Barchesse and a small chapel stand. These precious rooms, outlined by the delicate combination of pastel colours, stuccoes and bass-relieves, and dominated by splendid Murano glass chandeliers hosted in the past important figures such as Napoleon Bonaparte, the sculptor Antonio Canova, the painter Schiavoni, famous writers such as Caccianiga and Corso, thus preserving great memories of a glorious and aristocratic past. Villa Sandi is an important landmark for wine culture in Italy, not only for the quality of its products, but also for the special events that take place there, such as courses for Sommeliers, lectures on the Wine World, and wine tastings with major experts. For those who wish to combine the love for wine with the beauty of art, Villa Sandi offers guided tours of the underground cellars, the beautiful Villa, and the surrounding gardens.